Inspired by a bedroom in India …. secrets of a historical novelist revealed! Wearing suffragette ribbons, our gathering of North East women (and a few men!) 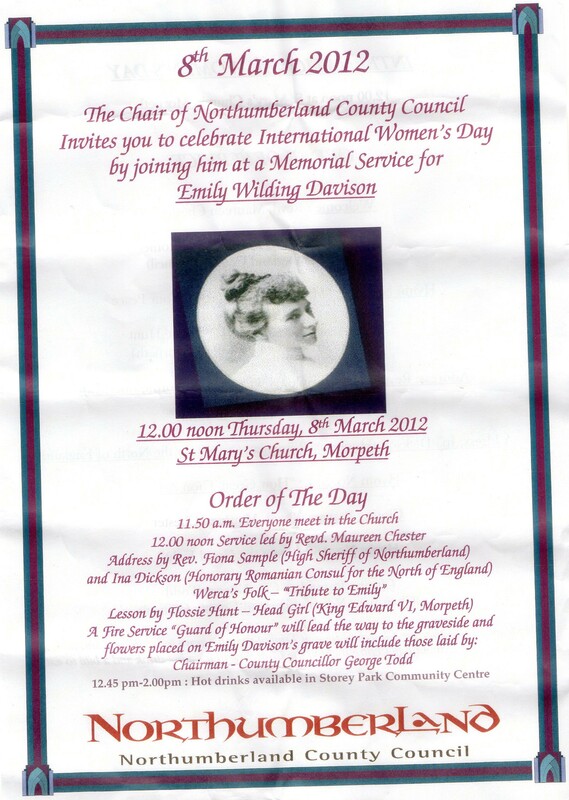 sang hymns, joined in songs with Werca’s Folk, listened to amusing and spirited words from Northumberland’s female High Sheriff (who happens to be a reverend too – how Emily would have approved!) and the Romanian consul – also a woman. 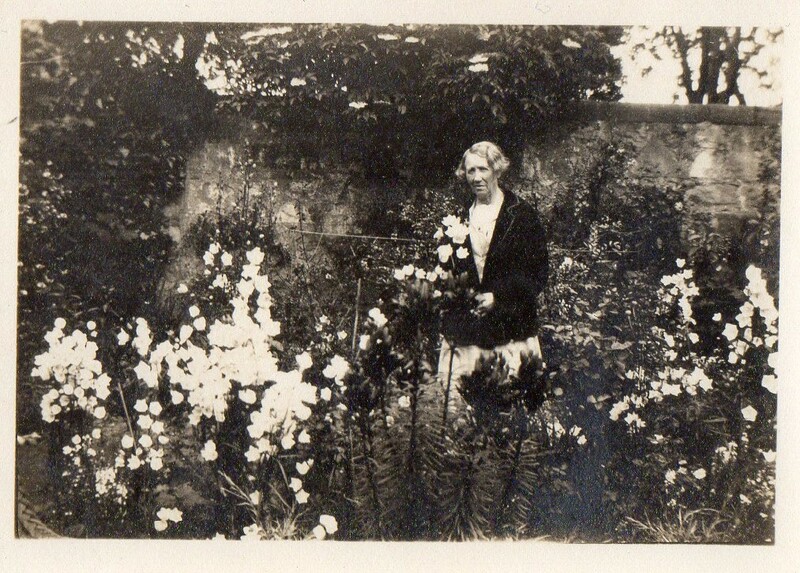 Afterwards we were given long-stemmed white carnations and processed behind Emily’s descendants to her graveside. Flowers were laid to the sound of Werca’s Folk singing the rousing Women’s Marseillaise that Emily would have known well. Then there were hot drinks and a buffet in the nearby hall – the whole event laid on by Northumberland County Council. Next year is the centenary of Emily Davison’s death – there will be many events to mark the occasion – I’ll keep you updated here. “The tranquil graveyard was so overrun with mourners that Maggie and Rose could not get near to see the coffin lowered into the ground at the Davison burial mound, so they patiently waited their turn among the lofty pines. Some time later they were able to approach the iron-fenced memorial which was almost hidden under the heaps of wreaths and floral messages. The scent of the flowers was overpowering as Maggie tossed her own modest purple iris onto the coffin. 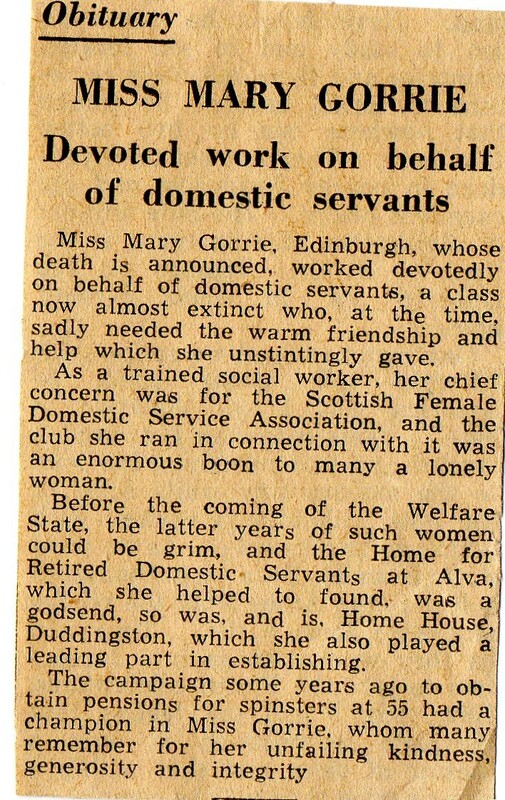 Great granny Janet Gorrie in later life as a voting woman! 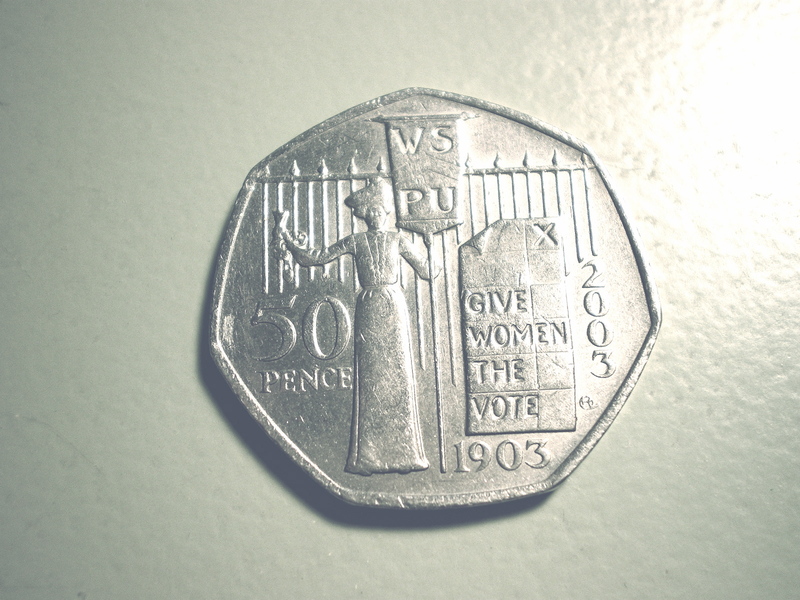 A fifty pence piece commemorating the centenary of the founding of the WPSU. I wonder if Emmeline & Christabel Pankhurst had any idea that just a hundred years later they’d be seen worthy of commemorating on the nation’s coins? 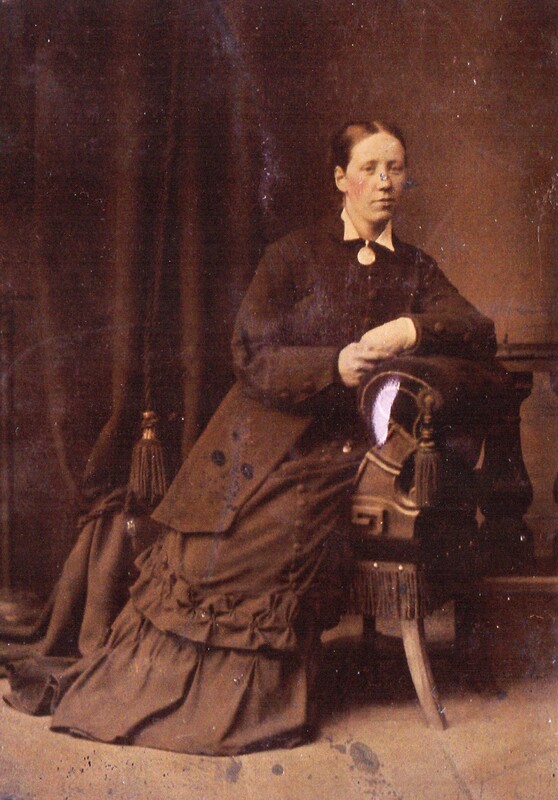 I wonder how much of a lift it would have given to the Suffragette’s foot-soldiers like my character Maggie Beaton when they faced tough times & the consequences of their actions? 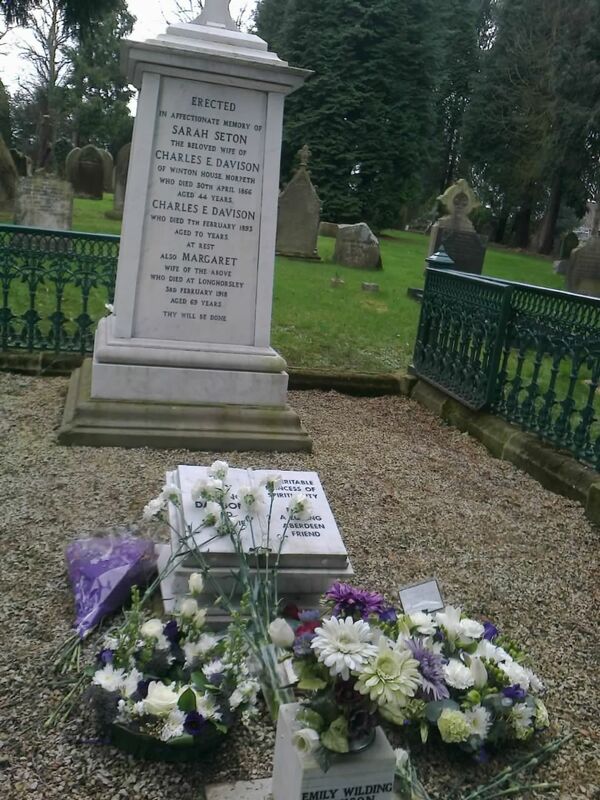 My book, The Suffragette explores the issues these women were protesting – this was a national movement, so I set the Suffragette in Tyneside to provide a backdrop of working class realism for what is sometimes portrayed now as a middle / upper class struggle.